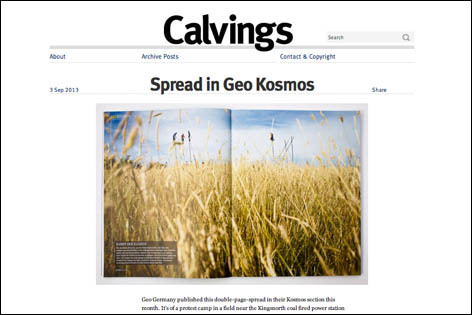 Calvings is a new place on the web where I’ll be sharing images, notes and previews of upcoming work. Presented in the form of a blog I’ll be mixing news of my own work with links to photographers and film makers that I find inspiring. I’ll continue to update these news pages and this website with finished stories of course, but while you’re waiting for new work to be finished, you might like to see it ‘in progress’ on the Calvings pages.